A colonial bed frame for a small child, made of pine and poplar with tapered legs. As shown, this bed accommodates a 52"l x 28"w x 7 1/2"h mattress. 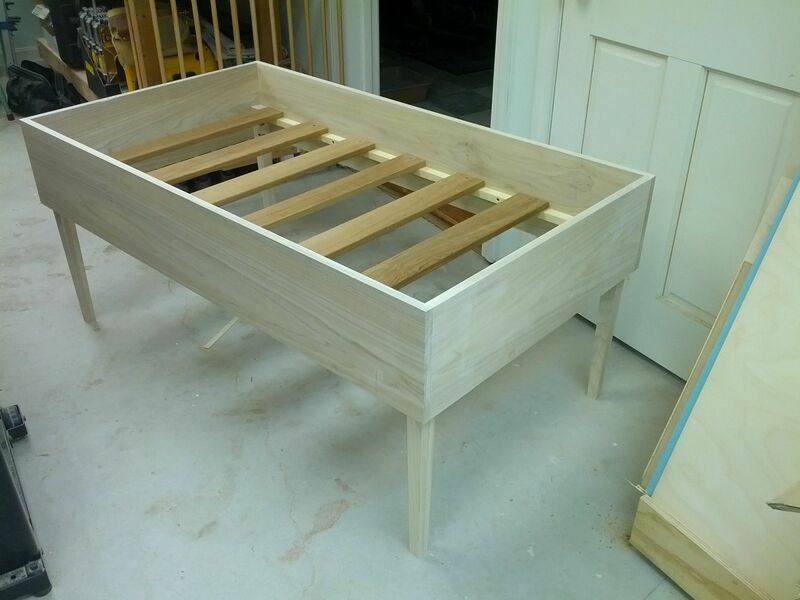 1x10" sides, no visible hardware, frame is 15" off the ground, 7 bed slats, unfinished. Mattress sits 2" above top of frame. Can be customized to any size, with your choice of wood.